At the law firm of Morgan & Morgan in Tavares, Florida, our lawyers represent personal injury and wrongful death victims in the Tavares, Florida area. If you have been harmed as a result of medical malpractice, a car accident or a truck accident, we are here to help you get the compensation you deserve. Our firm is a leading personal injury law firm representing accident and injury victims across the country. Our attorneys have more than 25 years of experience and have represented more than 75,000 clients. Including our firm founder John Morgan, our roster of attorneys features numerous AV-rated* attorneys. We represent the people, not the powerful. Our personal injury law firm handles all types of accident and injury claims, including claims involving car accidents, traumatic brain injuries, slips and falls, medical malpractice and nursing home injuries. We have the resources to aggressively pursue personal injury lawsuits seeking compensation for lost wages, medical expenses and other damages. 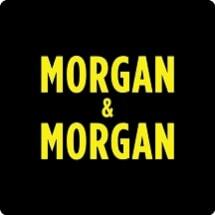 At Morgan & Morgan, we look forward to helping you and your family obtain the justice you deserve.